Shamrock Heating and Air Conditioning is a family owned and operated business founded on the basic principles of honesty, integrity, and excellence. It has always been our goal to offer our customers exceptional services at the best possible price, and we will not settle for less than total customer satisfaction. This dedication to customer service has allowed Shamrock to grow from a one man, one truck business operating out of a garage into the Midwest’s premiere, award-winning HVAC contractor. 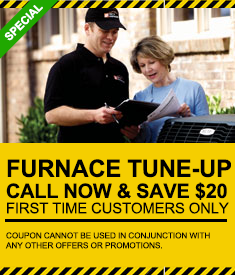 Customer Satisfaction – We are constantly looking for ways to improve our HVAC services to better meet your needs. Shamrock aims for nothing less than 100% satisfaction, and we will stop at nothing to achieve this goal. Honesty – As a BBB accredited business and recognized by Angie’s List, we strive to develop long-standing relationships with our customers by offering fair, upfront pricing from a sales team that actually listens to your needs. Service – Shamrock technicians are licensed, insured, and prepared to handle even the most complicated HVAC problems you may encounter in your home. Availability – Shamrocks’ award-winning service and installation departments are available to customers 24 hours a day, 365 days a year. 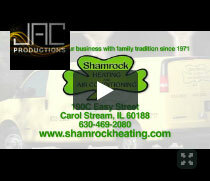 We look forward to proving why Shamrock Heating and Air Conditioning is the best HVAC contractor in the Chicago region. For all the right reasons, choose Shamrock for every heating and cooling need!